Aulad Syafana Competition was done successfully on Saturday, April 16th, 2016. 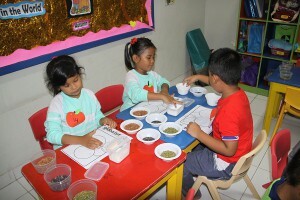 The tittle of this event is “Let’s have fun with Syafana”. 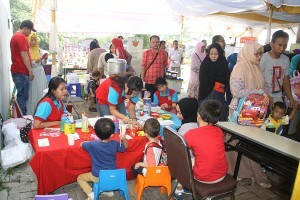 There are some activities in this event, namely, kinds of competition based on the age of participants, seminar parenting, and bazaar. 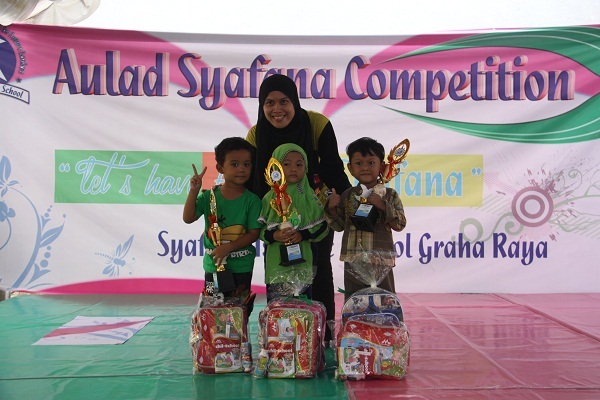 The competitions followed by Syafana’s Graha students, PAUD/TK, TPA, new students of Syafana Graha for academic year 2016-2017, etc. For age 1 – 2 years old join moving balls competition, age 2-3 years old join “menara donat” competition, there are two competitions for age 3-4 years old, they are “supplicate before sleeping competition” and “coloring competition”, age 4-5 years old join “painting T-shirt competition” and age 5-6 years old join collage “biji-bijian”. The total number of participants competition are 105 children. The winners get trophy and goodies from sponsors. We also thank to the sponsors that prepared for goodies, many thanks to Tigaraksa Satria, Global Art, Morinaga, Gramedia, Grolier, and Mc.D.